What Is Muscular Strength & Endurance? High rep squats offer benefits that accommodate a variety of fitness goals. Endurance athletes can use high rep squats to improve performance. Bodybuilders may achieve the best muscle definition and even muscle growth from high rep squats. You can also use high rep squats to control your weight and overcome excess weight issues. Let your muscles rest for at least one to two days in between workouts before performing high rep squats or targeting the same muscle groups in subsequent workouts. High rep squats help increase muscular endurance in your legs, particularly your quadriceps. Muscular endurance refers to the ability of your muscles to perform repetitive contractions or sustain contractions for extended periods of time. The energy stored in your muscle fibers depletes when you perform high repetition squats. The cells that make up your muscle fibers adapt to energy depleting workouts by increasing their numbers of energy-producing mitochondria. High rep squats can improve your performance for endurance activities, such as running, swimming, cycling and rock climbing. High rep squats are among the best exercises for your legs, because they offer stimulation that specifically targets the most abundant type of muscle fiber in your legs. Your legs consist of mostly slow twitch muscle fibers, which are designed for performing contractions for long periods of time. 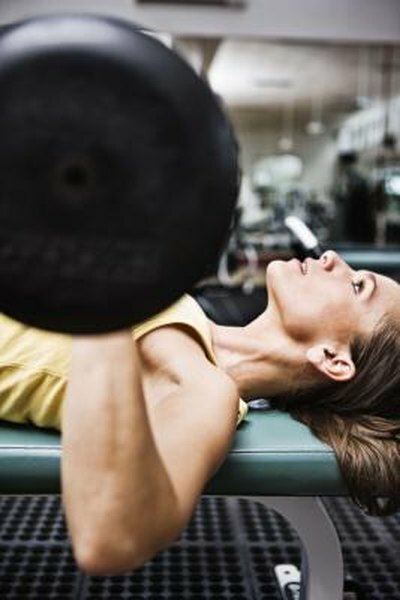 The National Federation of Personal Trainers recommends targeting slow twitch muscle fibers by using an amount of weight that exhausts your muscles within 20 to 25 repetitions for each set. High rep squats can help you burn more fat. The mitochondria in your muscle cells use stored body fat and oxygen to produce energy for low-intensity activity that you perform throughout the day. Squats work your quadriceps, in addition to your calves, glutes, hamstrings and lower back muscles. High rep squats increase the amount of fat that your muscles burn during low-intensity activity in between workouts by increasing the amount of mitochondria in every affected muscle group. Though the benefits of high rep squats are many, it's always prudent to consider the risks as well. Proper form is not optional for this exercise. If you don't maintain form, you will likely end up with an injury. With any high rep exercise, there is also a risk of over-training. Be sensible -- quit when your body tells you to and don't push yourself to ridiculous limits.